Target.com is celebrating International Literacy Day on the Daily Deals page: You'll save 10% and get FREE SHIPPING on all books from Target.com! Even better, the discount and free shipping includes new releases and even pre-orders! 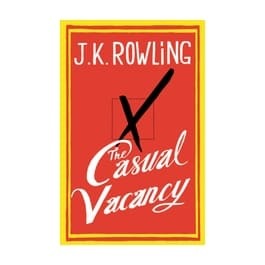 You can even order J.K. Rowling's upcoming The Casual Vacancy for 40% with free shipping today! See all of Target.com's books that you can buy at a discount AND have shipped for free with no minimum today!